The huge success of the Air Tech Evo has encouraged us to create the perfect complement: an air Tech with a Carbon Composite shaft. The most advanced ice axe technology all in 473 grams! The head, hot forged in a single piece of highly polished steel, has become an established alpine classic. This shaft has a gentle curve just below the head giving greater clearance, making anchoring easier on any sort of terrain. The shaft is covered with a natural rubber grip. 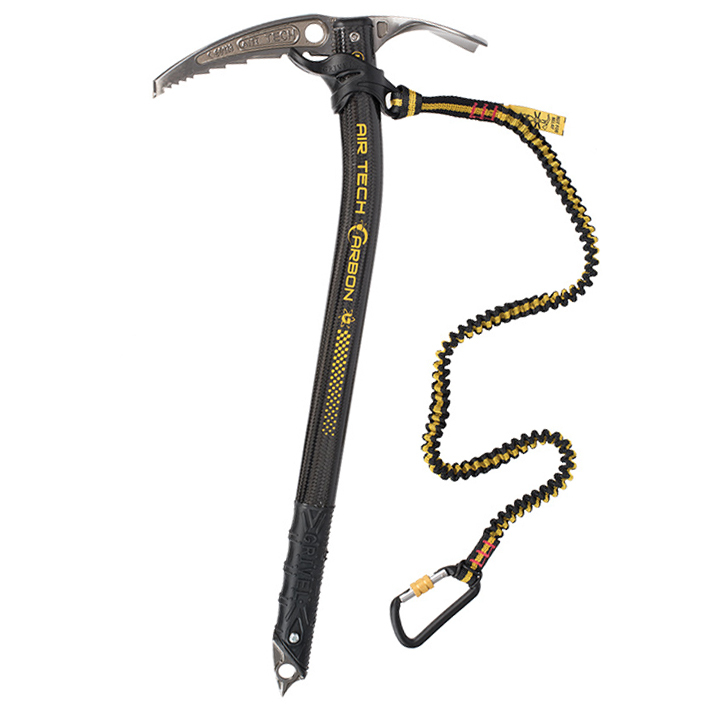 It is also available with the new Grivel Easy Slider with Spring Leash system.